like i made that intro to gui programming here i like to check that out even C is not my favorite thing. Ch Professional Edition costs $199 for commercial use and $129 for academic use. A teaching lab license is available. Ch Professional and Embedded Ch for ARM and Raspberry Pi are free for non-commercial use. Copyright (c) 2001-2008 by SoftIntegration, Inc.
OF THIS AGREEMENT, PLEASE DO NOT INSTALL OR USE THIS SOFTWARE. PURCHASE FOR A REFUND OF THE PAID LICENSE FEE. 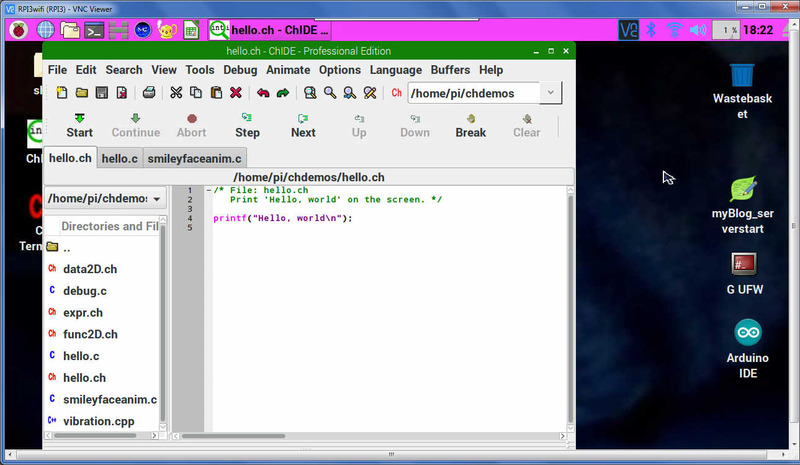 You may install Ch to anywhere you want to. or specify the directory path under which the software will be installed. Directory /usr/local/ch8.0 does not exist. Files have been successfully installed. The Ch language environment version 8.0 installation is complete. .cshrc or .tcshrc in your home directory, respectively. .bashrc, .profile, or .bash_profile in your home directory, respectively.